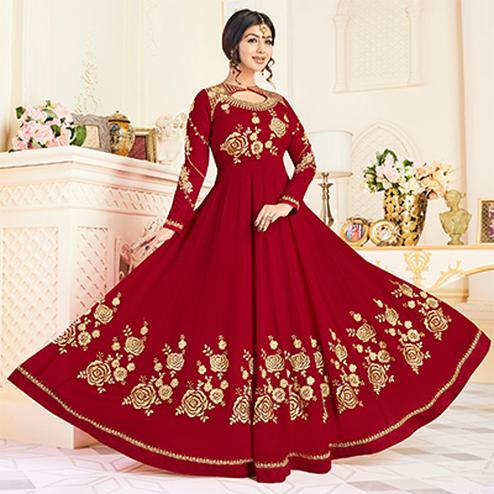 Appear stunningly gorgeous with this marvellous deep pink designer anarkali suit. 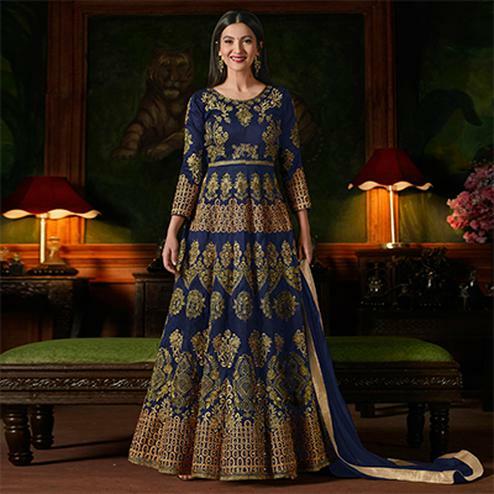 This semi stitched anarkali has mulberry silk fabric with mono net attached gown which has been made upscale with heavy floral embroidery work. Featuring round neck, long sleeves which is nicely decorated with stone and front slit cut. The floor length makes the overall look more outstanding. Accompanied with dull santoon bottom, dull santoon lining and chiffon dupatta with lace border. Best suited for wedding functions, receptions and special occasions, where you want to be center of attraction. Team it with ethnic accessories and heels to make your looks more beautiful.